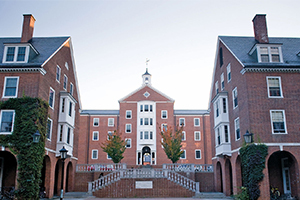 Simmons College was founded in 1899 by Boston businessman John Simmons, who had a revolutionary idea — that women should be able to earn independent livelihoods and lead meaningful lives. It was this same spirit of inclusion and empowerment that produced the first African-American Simmons graduate in 1914, and made Simmons one of the only private colleges that did not impose admission quotas on Jewish students during the first half of the 1900s. At Simmons, we place students first. Our hands-on curriculum integrates intellectual leadership, career preparation, and community orientation, because all three approaches are necessary for success. We are proud of our welcoming, collaborative community that encourages dialogue, action, and respect—and that makes the Simmons experience as thoughtful as it is thought provoking. 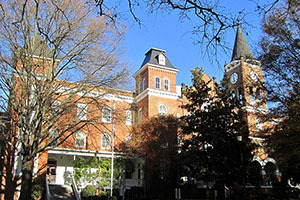 Initially established in 1842 as Valley Union Seminary, a coeducational college, Hollins became an institution for women in 1852. Three years later, it was renamed Hollins in recognition of benefactors John and Ann Halsey Hollins. Hollins pursues an uncommon mission to provide women the opportunity to find their own voices and seek their own individual dreams and goals. We help them gain confidence to compete in a still-unequal world and give them the tools to make the world a better place for other women, children, and men. We seek out women with strong personalities and ambitious goals. Although the doors of Converse opened October 1, 1890, the first step towards the founding of the college was taken in 1889 when a prominent attorney assembled a group of Spartanburg citizens to discuss the project. Among the 13 men was Dexter Edgar Converse, a native of Vermont who had settled in Spartanburg before the Civil War. His contributions to the college were so valuable it was given his name. 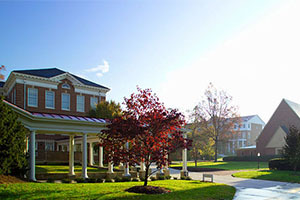 The Converse College commitment to creativity and the development of adaptable individuals with clear vision, wise decision and just action is guided by seven core values: excellence, integrity, exploration, diversity, respect, community and progress. Smith College began more than 140 years ago in the mind and conscience of a New England woman. Sophia Smith, who inherited a large fortune at age 65, decided that leaving her inheritance to found a college for women was the best way to fulfill her moral obligation to provide an education for women equal to that available for men. 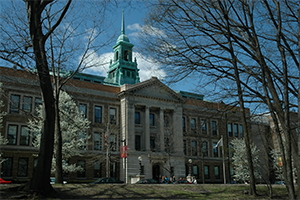 At Smith, your individual exploration and education come first. The focus is on making the most of who you are and what you want to become. The world is your campus, preparing you to live, work, and lead across global borders.